Filling a restaurant in such an immense space can be quite a challenge. It is difficult to make it appear full when there are so many spaces to sit and have such a high ceiling to work with. 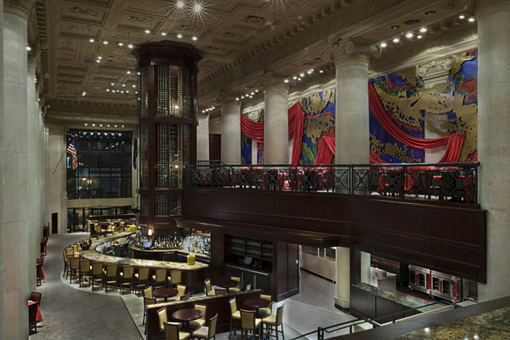 Del Frisco’s in Philadelphia successfully uses there space to its potential. The grand building contains rich material and color, and has a swooping bar on the main level, with a wine rack which protrudes to the second floor and holds over 2,000 wine bottles, and is used as the restaurants focal point. It contrasts nicely with the marble columns that are not only the structure of the building, but a grand feature that makes the space feel important. The second staircase races up to the upper floor and ends at another bar which overlooks the entire space, another successful design element. I love old buildings that are still utilized today that make such an impact on the success of the business. Not forgetting to mention there delicious cocktails, Del Frisco’s is a great place to wine and dine. Ani Semerjian featured on Main Line Today’s website. Read entire artice here! Waking up to a bright, beautiful morning is the best way to begin your day, along with an extra large coffee. Creating window openings in your home is a great way to allow for more natural light and natural ventilation. 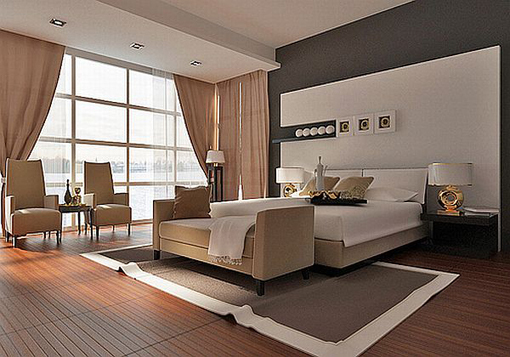 This bedroom utilizes the large wall and punches out window openings. Although these particular windows are not able to be opened, there are so many different window options that can be. Consider creating new openings in rooms where your family frequently gathers and see what a pleasant difference it can make! How to incorporate fall’s top fashion trends into your home decor.Expert designer Ani Semerjian shows us how to turn your home from drab to fab with five easy and stylish tips. 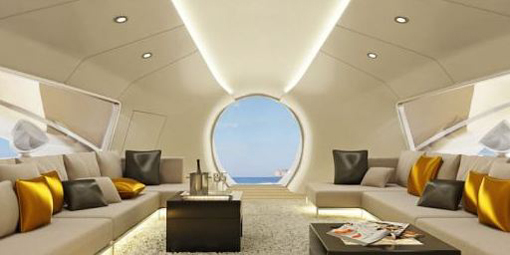 This yacht has an oculus behind the sitting area for a fabulous view of the ocean. This ultra-chic boat exudes traveling in style. It’s crisp, clean lines and bright white surfaces contrast nicely against the bright blue sea and sky. The throw pillows add just the right punch of color while still emitting an upscale vibe and relaxing appeal. See you on the high sea’s! Try adding a bright, bold chair in an unexpected place. 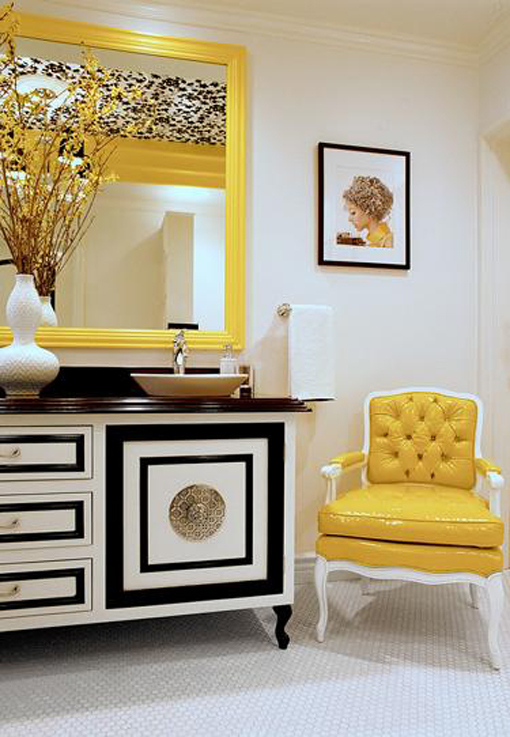 This bathroom makes a strong statement with the pops of yellow. A tufted chair adds traditional appeal, but with this sassy yellow color, adds a modern twist. Using a chair as a focal point or statement piece is a great way to add function and form to a space. Upholster an old chair with a great fabric, or use a traditional looking chair in a more contemporary way. Kick back, relax, and enjoy your special space! A great way to add dimension to a space is to add texture. The walls and ceiling of this space are detailed and 3-dimensional. The chic black and white colors still have alot of flair because of the way they are used. The large blocks of color create patterns within themselves because of their unique texture. 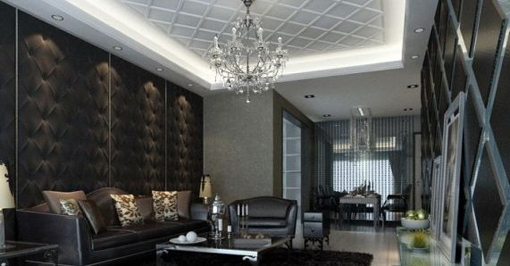 This ultra contemporary living room contains alot of detail and luxe material. Semerjian Interiors on Ehow.com. 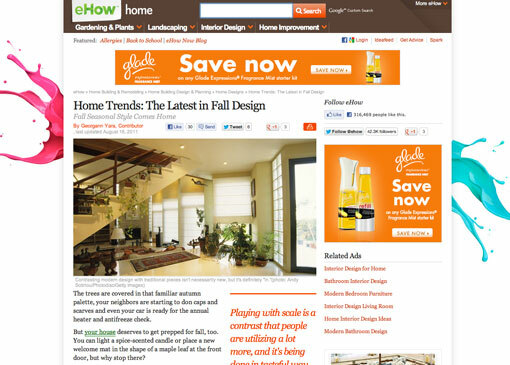 Check out our tips for hot fall decor on ehow.com!